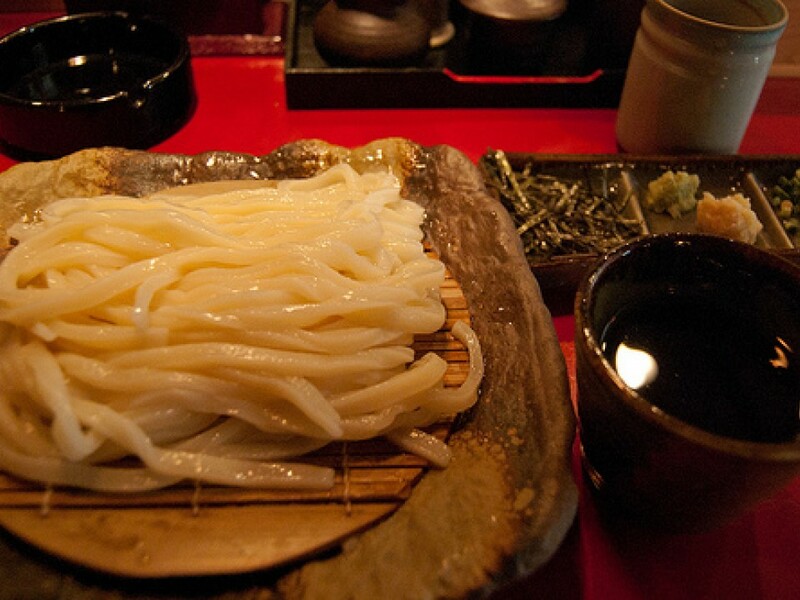 A key when eating zaru-udon (udon on a bamboo net that you dip into sauce) is to avoid dipping the udon too much. This does require some chopstick skills but what you want to aim for is dipping your udon in the sause just enough so its tasty but not too much that all you taste is the sauce. 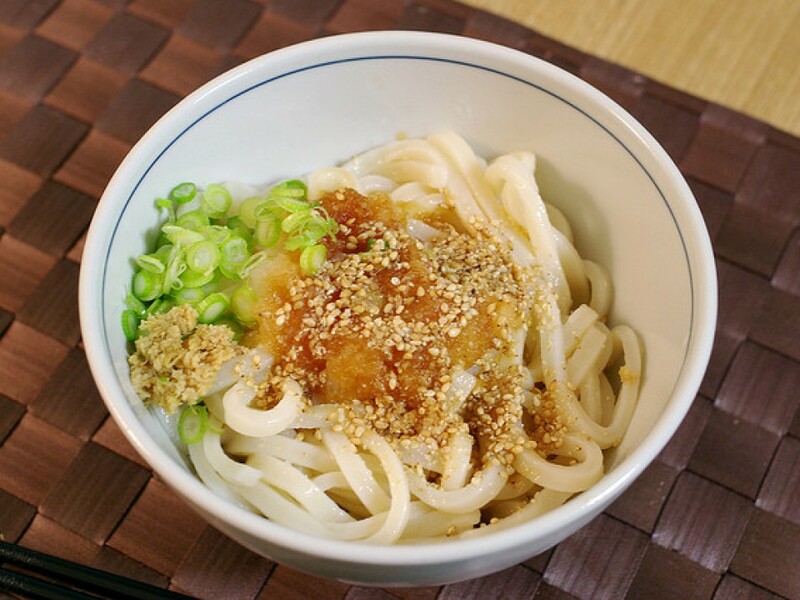 The noodles have their own taste and some people in Kagawa prefecture, where udon is from, even eat udon without any sauce. 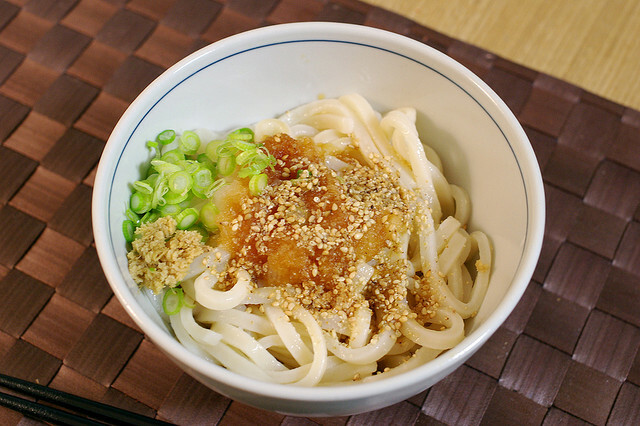 A perfect dip should leave about 0.5 cm of udon above the surface of the sauce. You don't want to dip completely or worse, leave udon in the sauce. If you slurp, which is a mannerly thing to do, you will get more of the sauce and your bite should be just perfect. 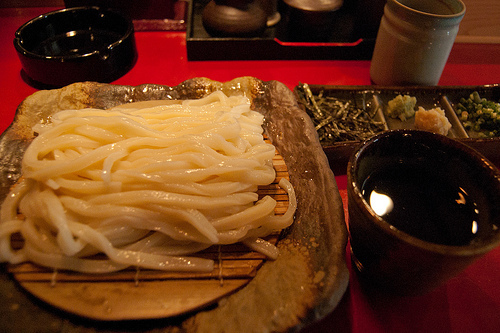 On your visit to Japan, don't forget to try udon and use these skills!